Join us for our second Tap Takeover at Legends Pub! 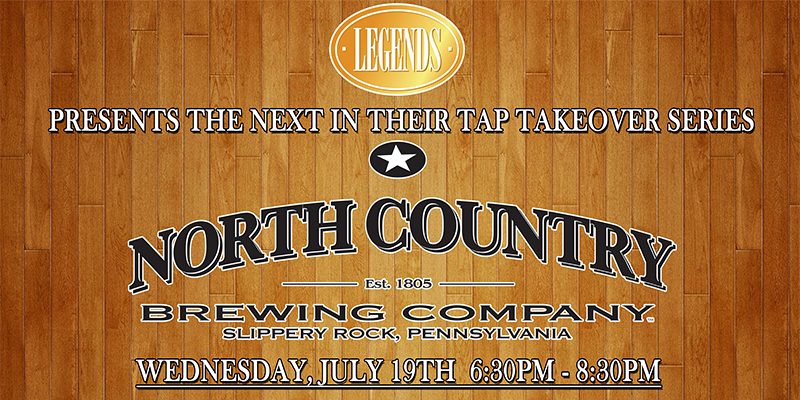 We’ll be featuring brews from North Country Brewing Company in Slippery Rock, PA. Stop by Wednesday night from 6:30 to 8:30 PM. Check back to see our schedule of craft beer vendors and future Tap Takeovers.